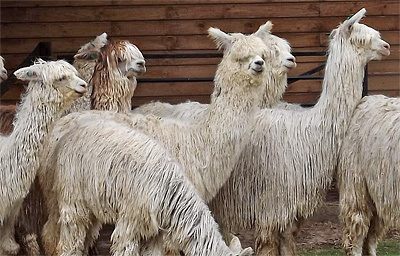 We are a young com­pa­ny that began breed­ing alpacas with live­stock from Chile in 2015 after more than a decade of plan­ning and care­ful prepa­ra­tion. 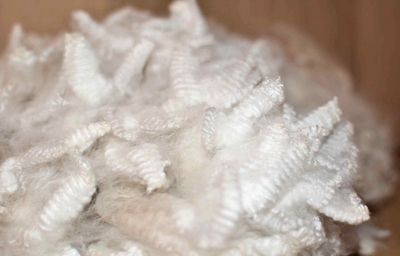 Our spe­cial focus is the white hua­caya, whose wool has an espe­cial­ly low micron count. 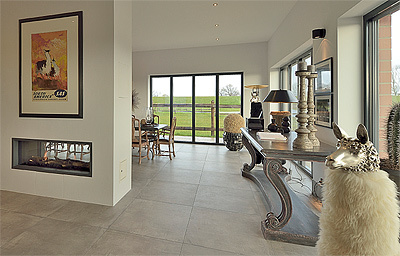 We make every effort to pro­vide fine, pure fleeces of out­stand­ing qual­i­ty to cater for the lux­u­ry seg­ment. Our mod­ern sta­bles are designed to accom­mo­date 250 to 300 ani­mals and meet the high­est stan­dards in terms of hygiene and clean­li­ness. Fur­ther­more, our alpacas enjoy 33 hectares of land. Since start­ing out, we have already cel­e­brat­ed our first breed­ing suc­cess: our farm wel­comed its first off­spring in Decem­ber 2015. Bar­bara Bruns and Wolf­gang Stamp are the names behind Alpa­Suri. These ambi­tious ani­mal lovers have run pres­ti­gious breed­ing pro­grammes for many years, mak­ing use of their deep knowl­edge and wide-rang­ing exper­tise. Both have devel­oped a pro­found under­stand­ing of their field, for instance through many years of inter­na­tion­al research in the Unit­ed King­dom, North and South Amer­i­ca, and even Aus­tralia. As a result, they also have a net­work of valu­able con­tacts today. Alpa­Suri has allowed them to make a per­son­al dream come true: cre­at­ing their own ‘fleece of the gods’.